Please fill out the form below and one of our sales representatives will contact you promptly. 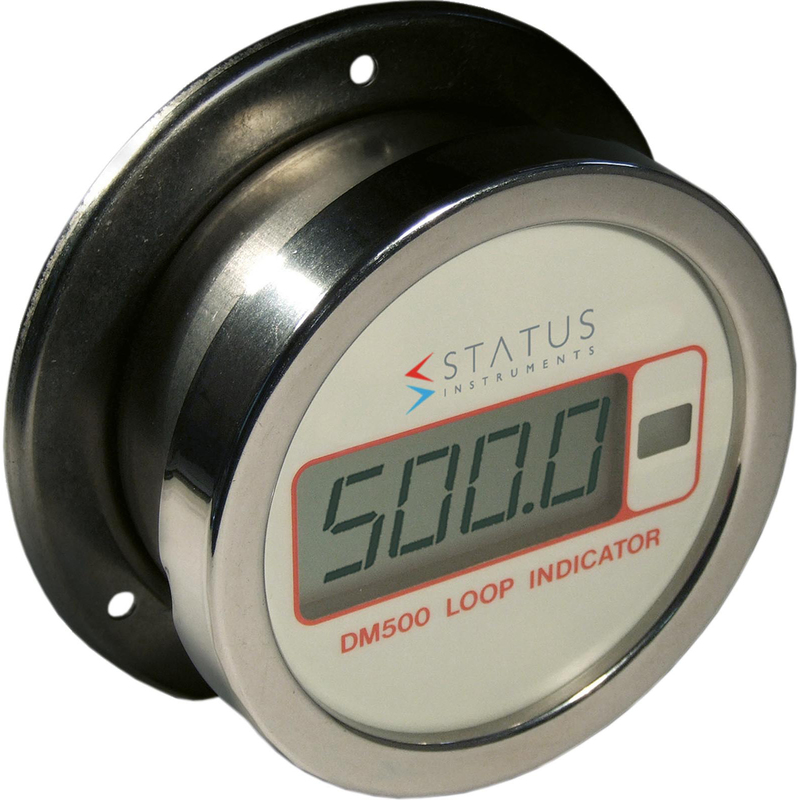 The Status DM500 is a large loop powered indicator with four digit LCD display. DM 500 offers an IP65 rating with a maximum loop drop at 20 mA of 1 volt. The loop powered display only accepts a 4 – 20 mA input and can be programmed for many standard units. The circular stainless steel housing is available in a choice of depths, permitting the installation of a suitable loop-powered transmitter and is available in wall, panel and temperature probe mounted versions. Due to the Status DM500 having no exposed glass or mercury in its construction it is ideal for food and pharmaceutical applications.